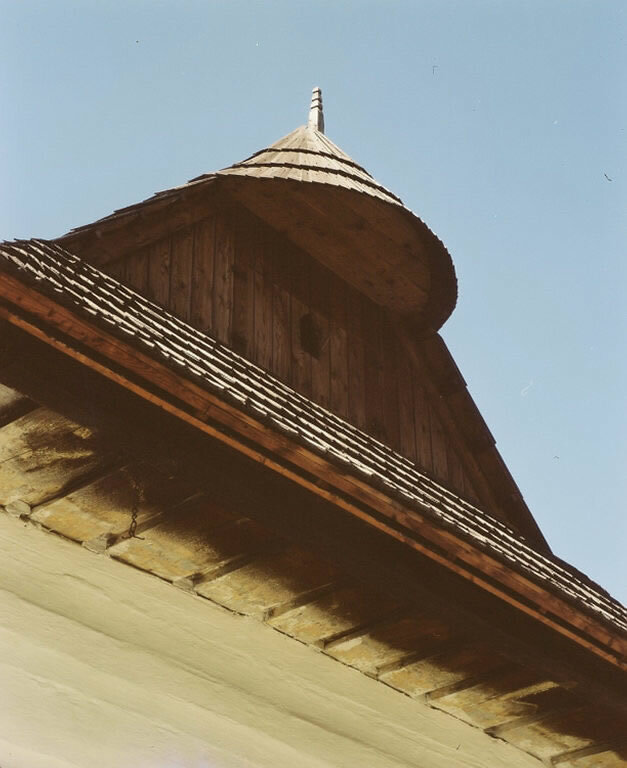 Roof eave at Vlkolínec. This is a medieval village of 40 or so wooden homes, still occupied. It is a UNESCO World Heritage Site.